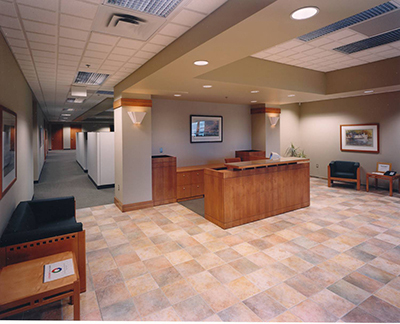 Design Build Solutions Livonia MI - Schonscheck, Inc.
Schonsheck is Michigan's leading design build and general contractor, serving the local Detroit area for over 30+ years. If you're searching for a company to handle your entire project from start to finish, contact Schonsheck today. We have the expertise to deliver both small and large projects, from under 10,000 square feet to over 100,000 square feet. Commercial construction requires more than just project management. Our team brings a wide range of expertise to the table including: site planning, design build, general contracting and pre-engineered building manufacturing. Our mission is to become your partner, not just your builder. Finally -- a design-builder that thinks like YOU! How are we different? Our employees own the company. That means every person we dedicate to your project has ownership in your satisfaction. Design-build construction from Schonscheck, Inc. allows the business owner to have a single point of contact. Our team communicates with you throughout the entire process, allowing you to have a better experience, while we work to deliver a better product. Your needs will get immediate attention and your questions will get answered. Our proven team approach allows us to control costs, have a little fun along the way, and ultimately save you time and money. From our designers and project managers, our mission is clear: to deliver the best product possible with the most cost effective pricing. Whether you are adding a 5,000 square foot office to your existing warehouse or we are breaking ground for your 150,000 square foot complex, we have the crews to handle it. To see a list of services, click below. "There is nothing more satisfying than receiving kudos from your peers. You have made us look good to both our peers and more importantly, our customers. I hope your team is as proud as we are in our new flagship branch." Cummins Michigan, Inc.